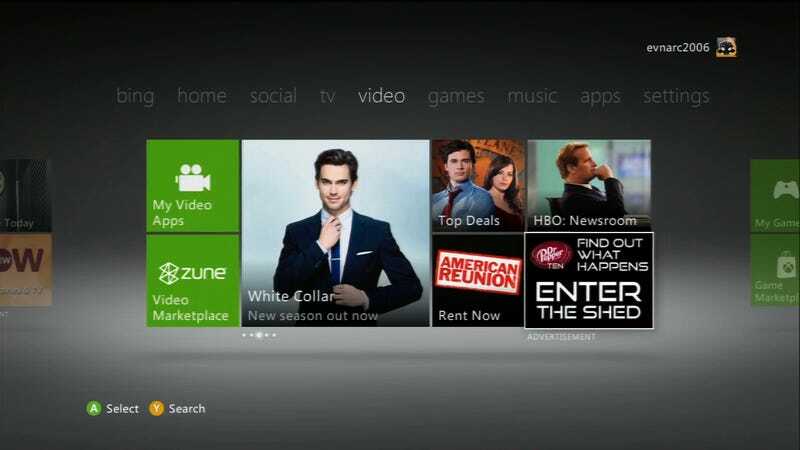 The current version of Xbox Live sure is full of ads, huh? Why? Because ads make money. How much money? Ben Kuchera over at The Penny Arcade Report speaks to some insiders and has some figures. The data shared with the Penny Arcade Report shows that Microsoft estimates 16 million impressions for an ad during a holiday, so an ad with a $21.50 CPM would cost you a stunning $344,000 to control that spot for the day. You can also buy half-day increments. Microsoft estimates that ads during a normal weekday in the first part of the year enjoyed 9 million impressions, with 15 million impressions over the weekend. Based on these numbers, Microsoft estimates that it would cost $193,500 to control the entirety of an ad spot for your average Monday with what's called a "road block" ad. Start layering on the features, however, and that price can begin to rise very quickly. Microsoft did their best not to help with Kuchera's story. But don't let that keep you from digging in. And don't think too hard about why you're possibly paying a yearly fee for something covered in ads. There's surely a good reason for that.